A marathon is a brutal, exhausting thing to do to your body. Running four marathons back-to-back-to-back-to-back is an exponentially more ruinous endeavor, and even the very best at one of the most physically extreme sports in the world don’t get by without destroying themselves. Ultramarathoners regularly report suffering from hallucinations after pushing their physical limits for hours and hours, and merely finishing a 100-mile run in any time is impressive. Finishing one in less than 13 hours is among the more extraordinary possible human accomplishments. 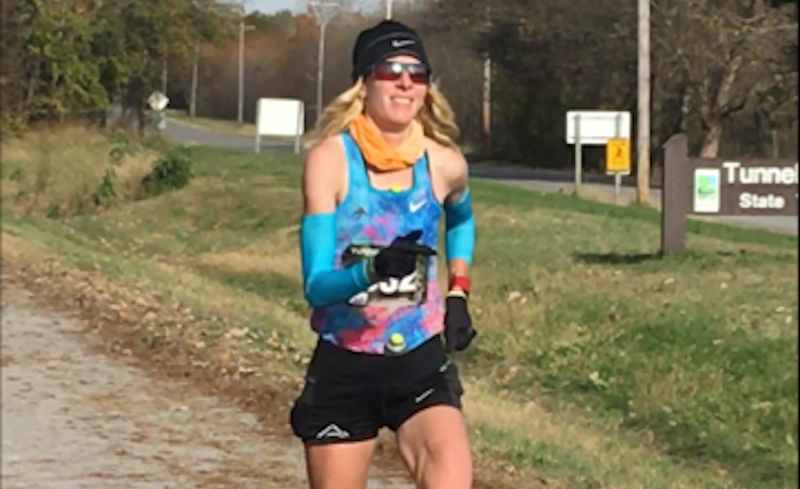 Last weekend, Camille Herron did just that, finishing the Tunnel Hill 100 in Vienna, Illinois in 12 hours, 42 minutes, and 39 seconds, shattering the previous female record by over 63 minutes. The previous record was 13:45:49, and Herron somehow maintained a 7:43 pace, which is roughly 30 seconds per mile under the former record holder’s pace. What’s more staggering is that this was the 35-year-old Herron’s first-ever 100-miler. Herron spoke with IRunFar about the race, which was technically classified as a road race, though it took place on well maintained trails and crushed limestone. The Tunnel Hill 100 is USATF and IAAF certified, Herron was drug tested by USAD after the race, and her time was verified with three backup stopwatches, so for all the skepticism that extreme feats of endurance can warrant, this record is the real deal. Her secret? A beer at mile 80. I didn’t feel like I needed it. I do hot races where I crave beer, but I was kind of cold. I feel like I could have gotten through the race without drinking a beer, but it was nice to stop and guzzle a beer really fast and keep going. It was probably about 80 miles into the race where I had my first beer. I lost some time in the end with stopping and having a beer in the dark, but I had enough time to play with, I knew I was going to be okay. The beer was a nice treat. Herron’s got her sites set on a few more records in 2018, and as long as someone’s ready with a frosty cold brewski, she’ll be fine. Is This Ultramarathoner Faking His Record-Breaking Attempt?